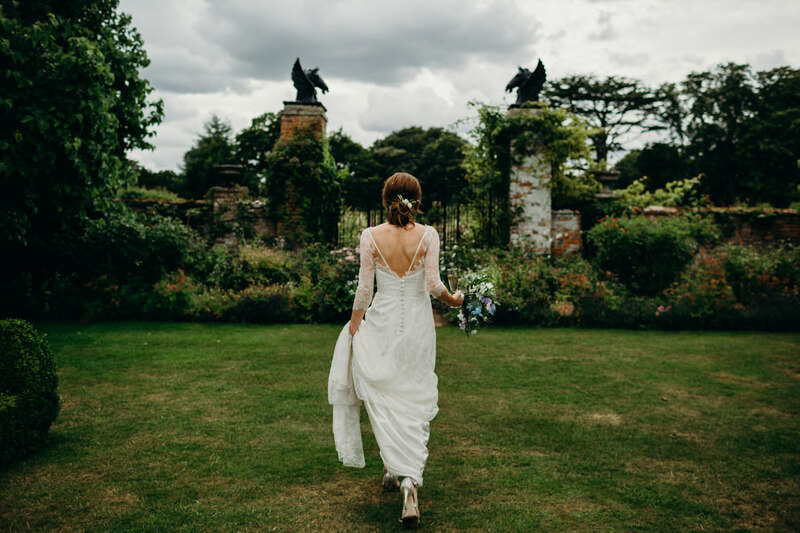 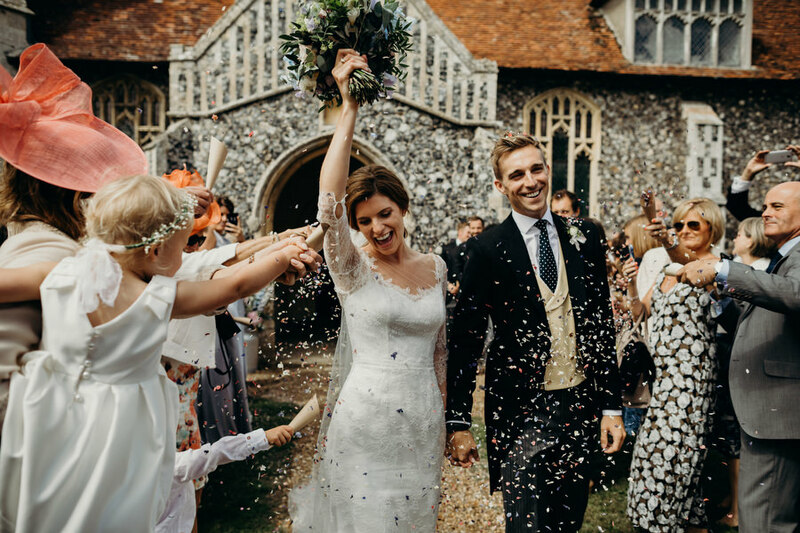 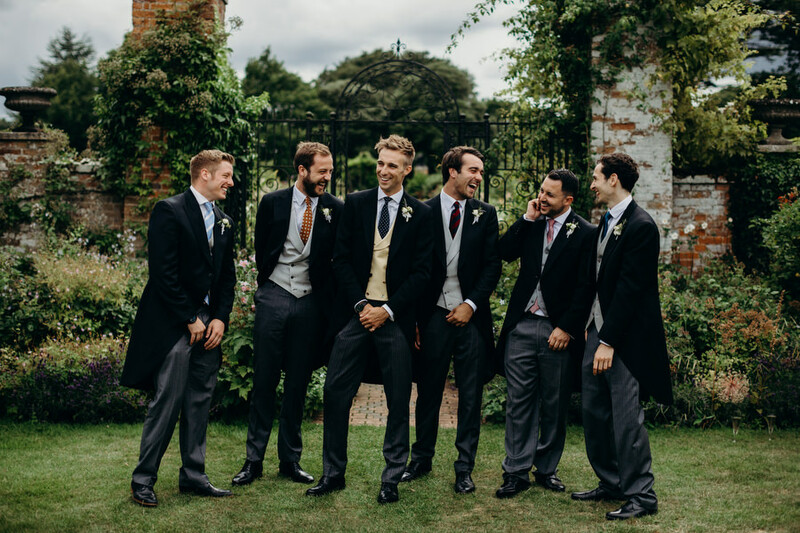 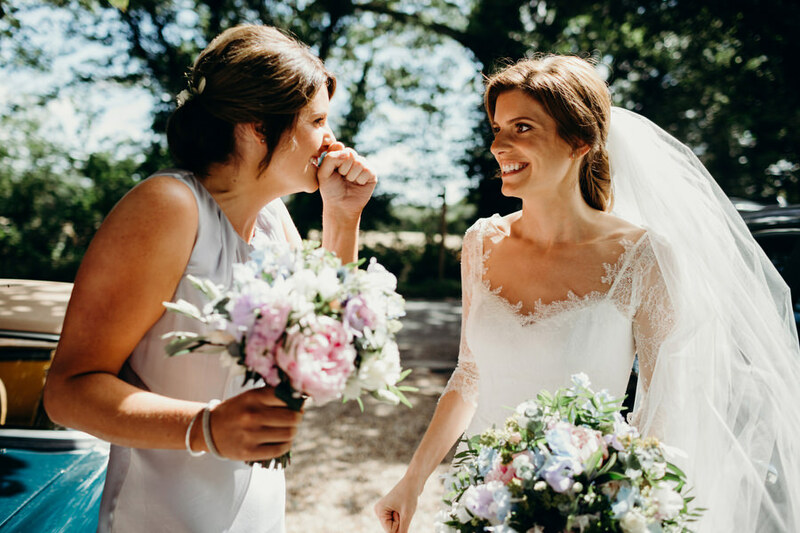 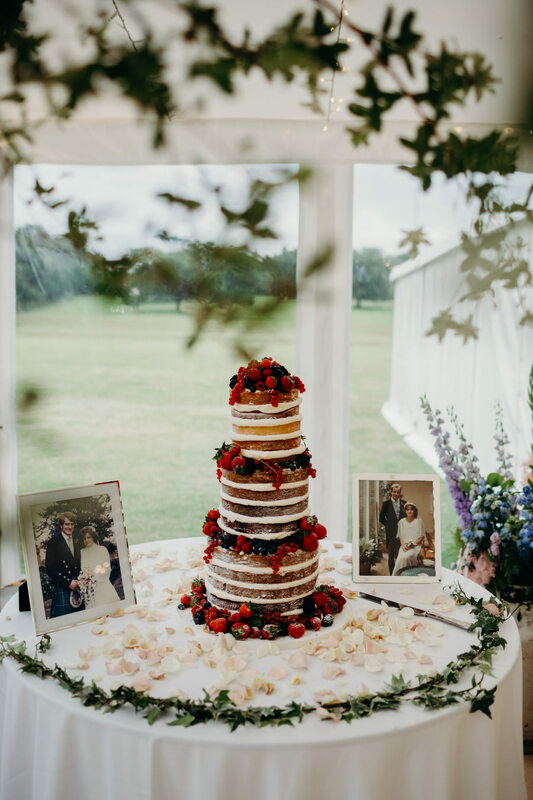 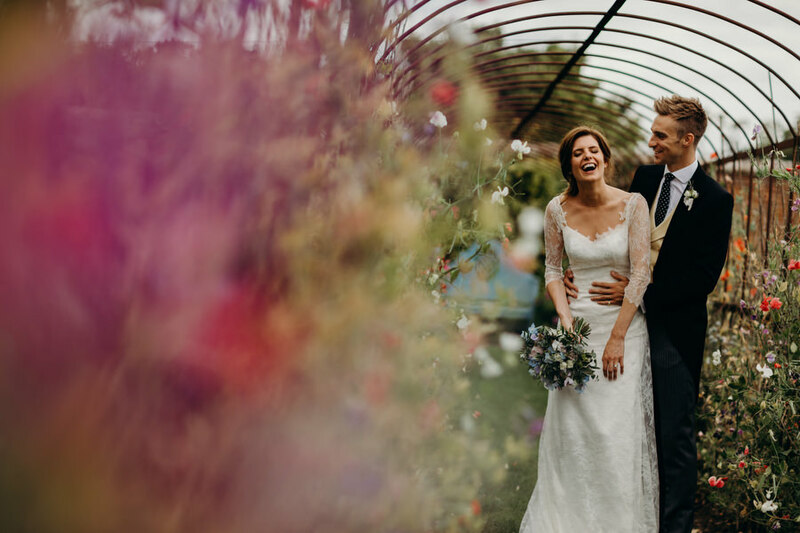 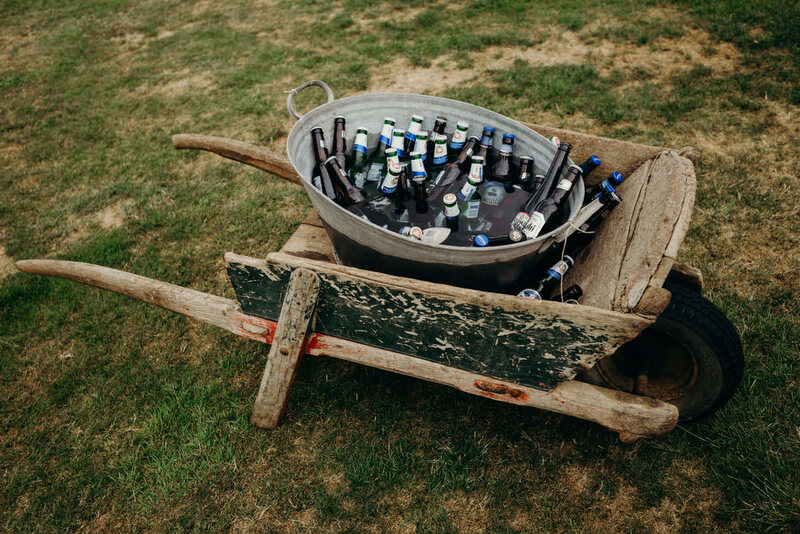 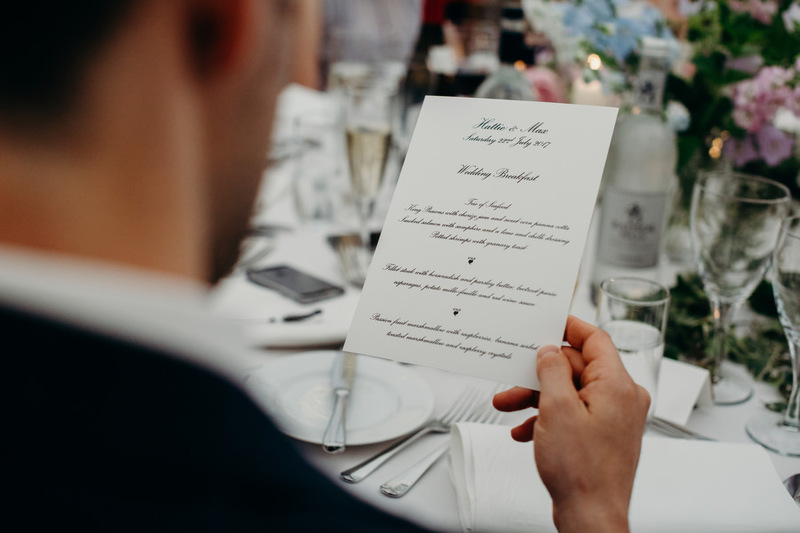 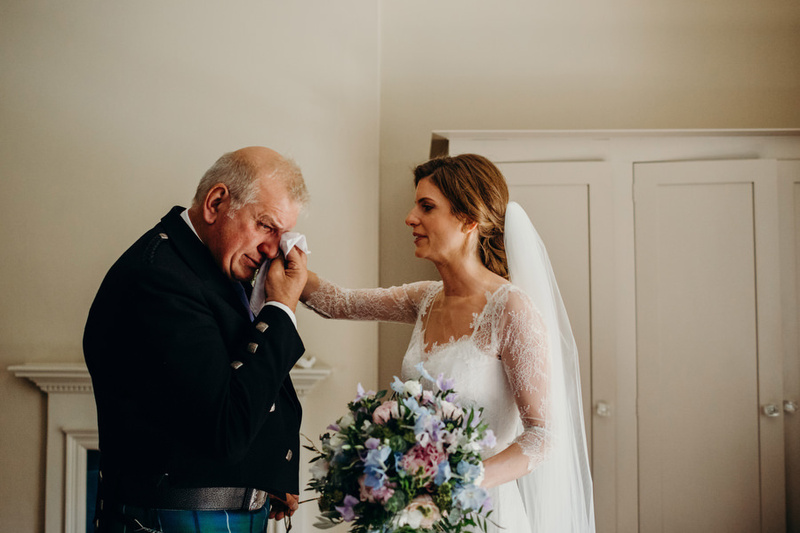 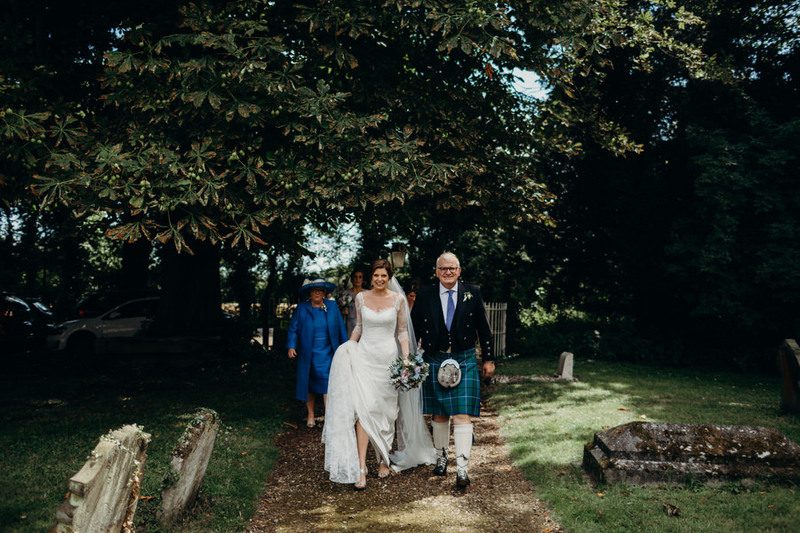 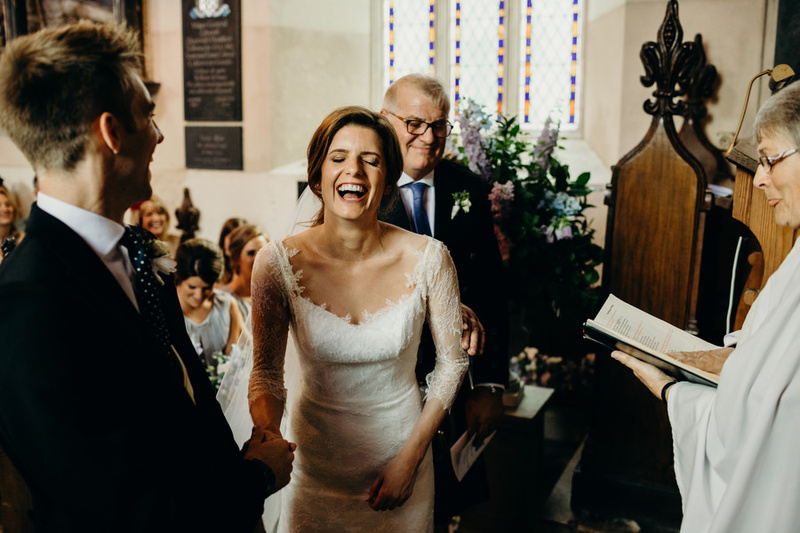 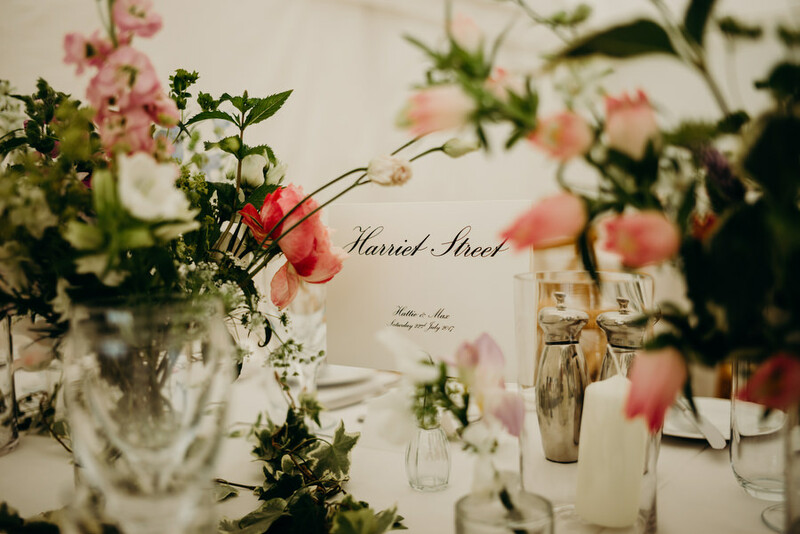 Let’s relax into Wednesday lunchtime with a beautiful English wedding, shall we? 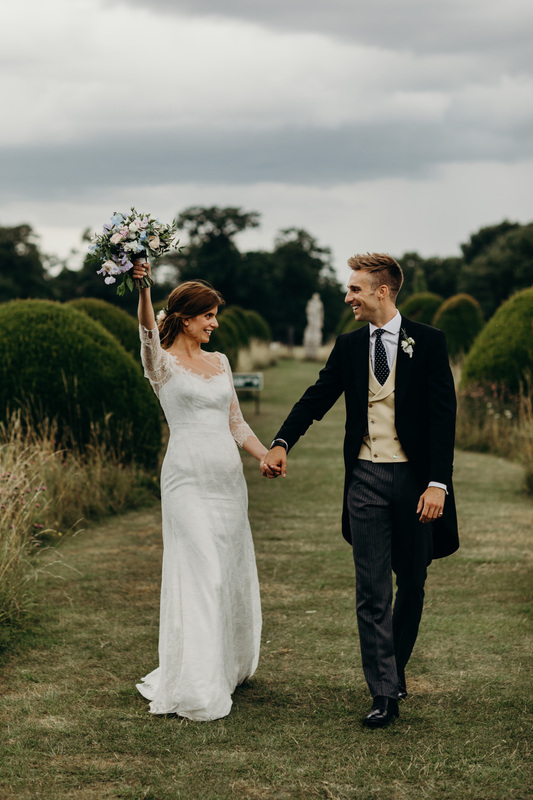 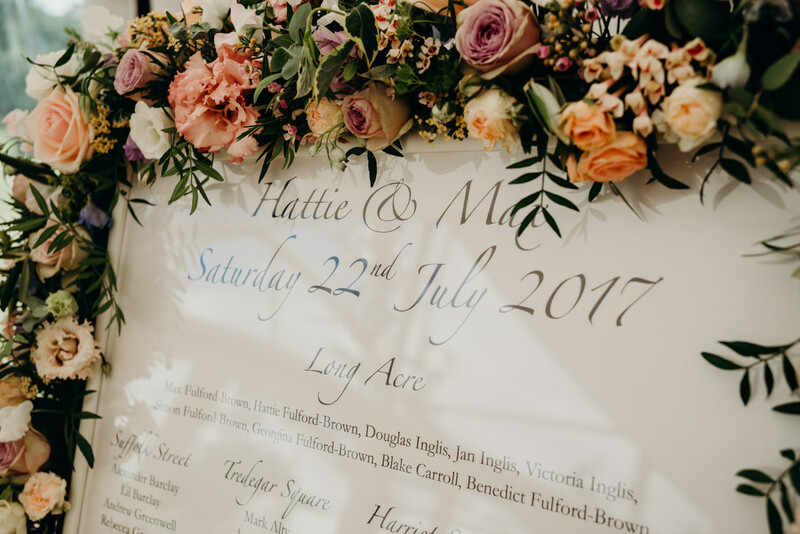 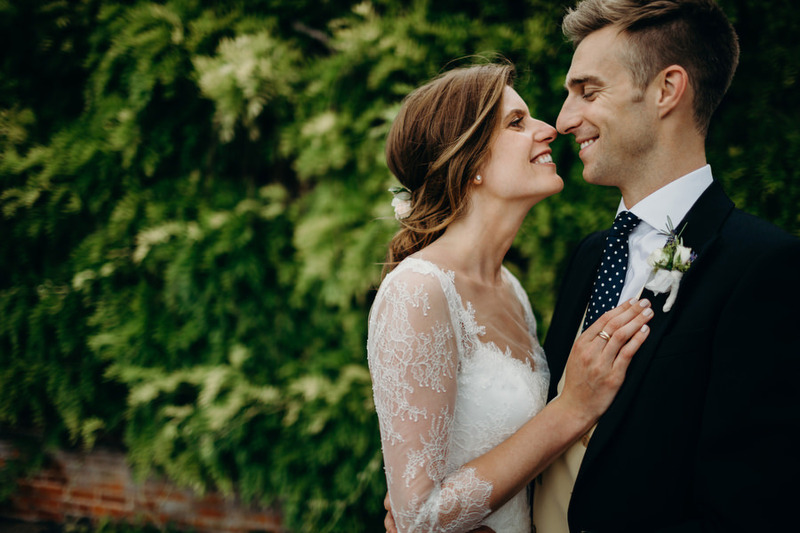 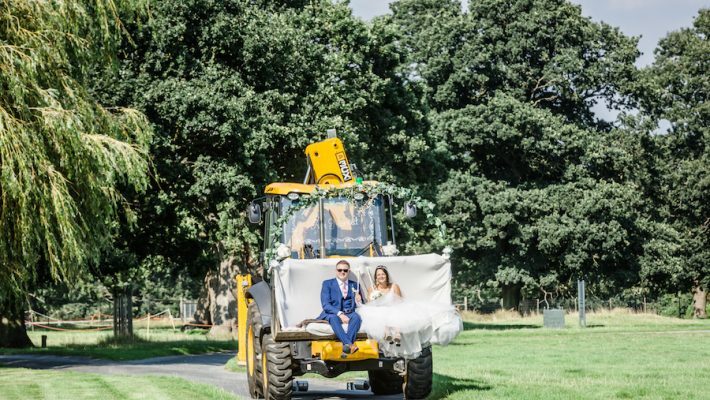 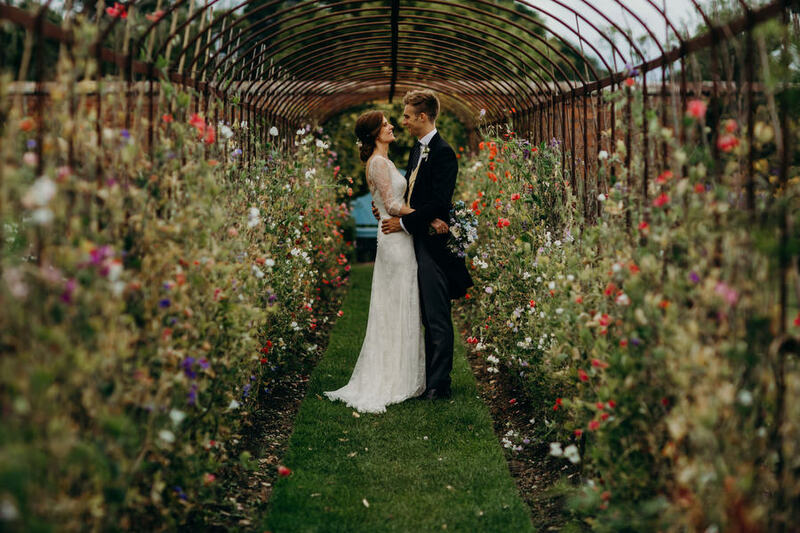 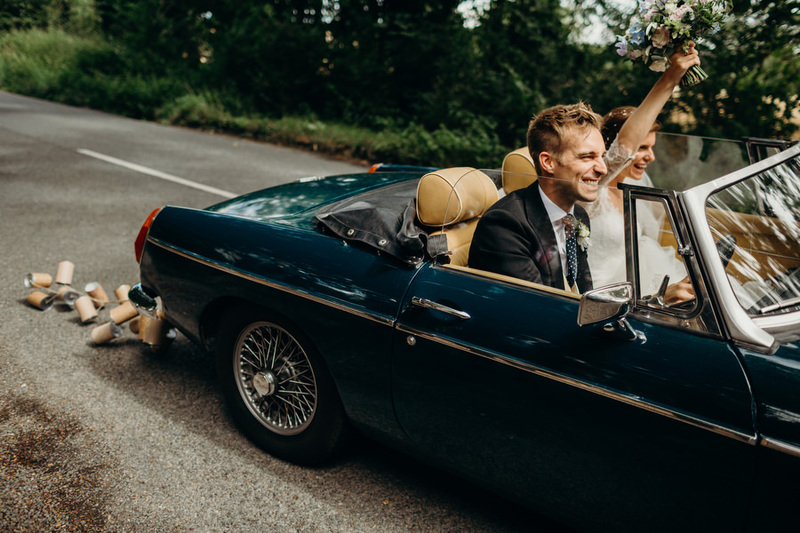 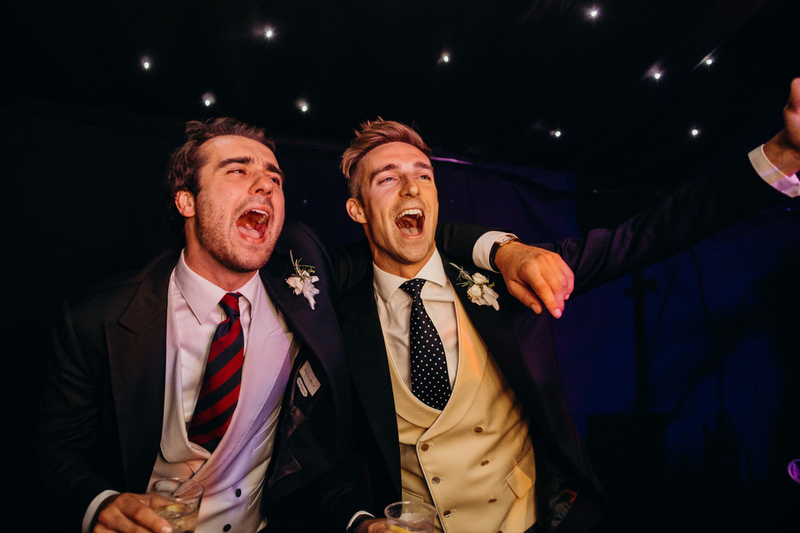 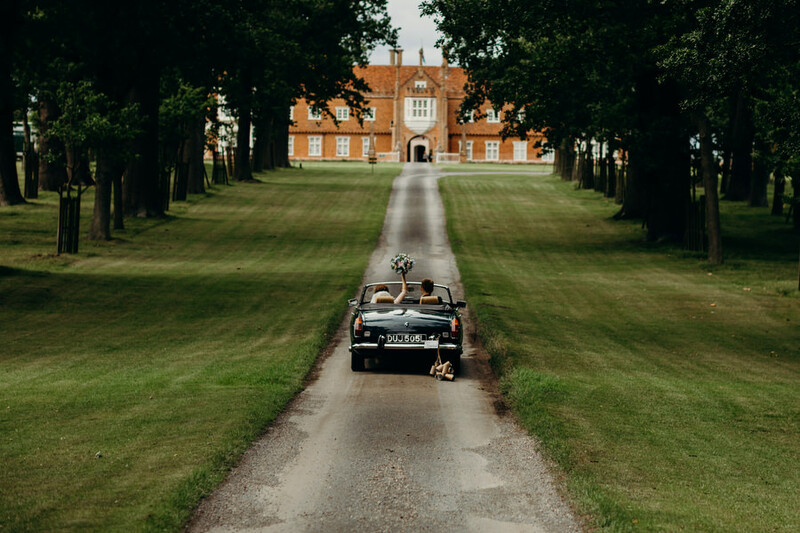 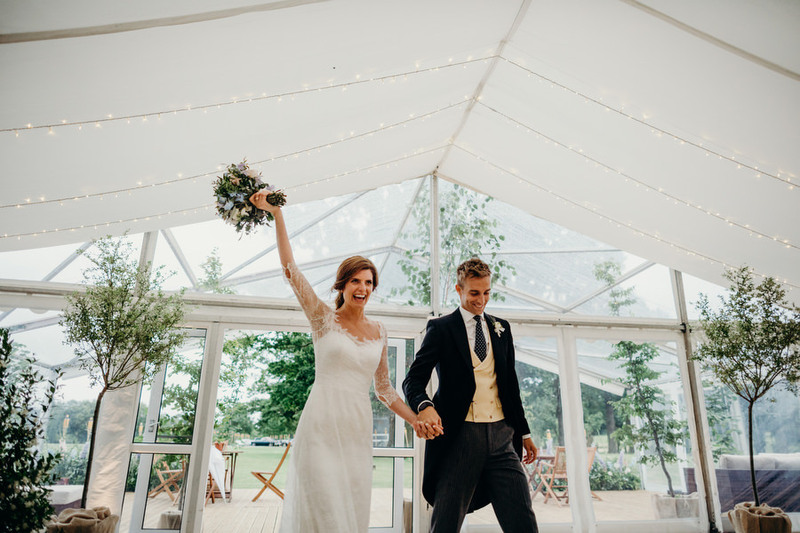 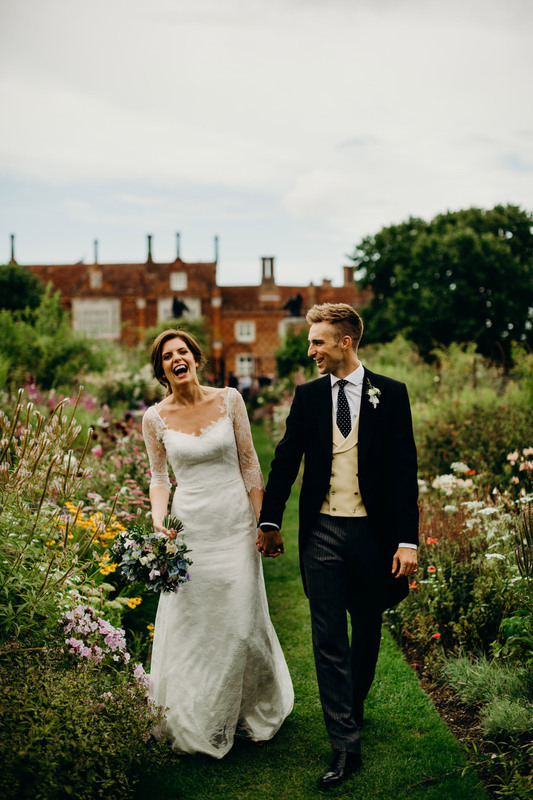 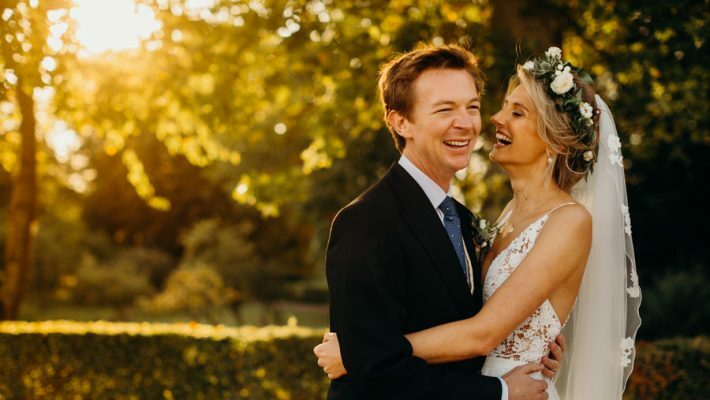 Hattie and Max tied the knot at Helmingham Hall in Suffolk on a beautiful July day. 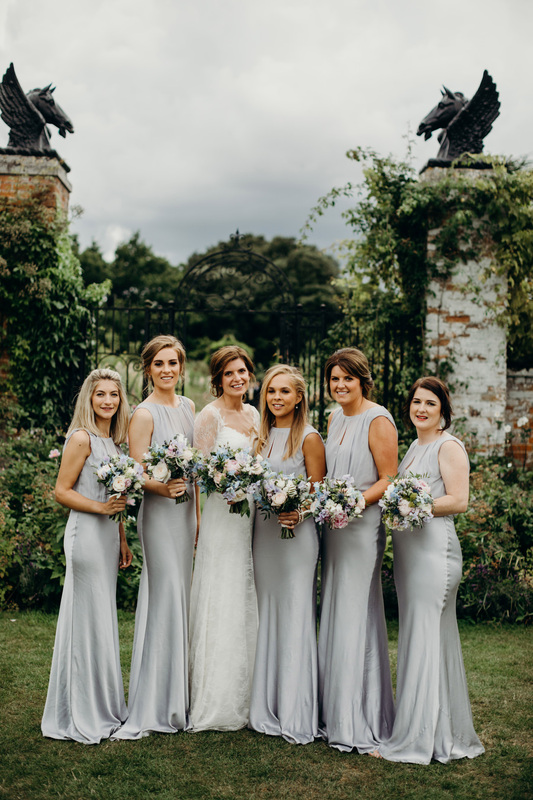 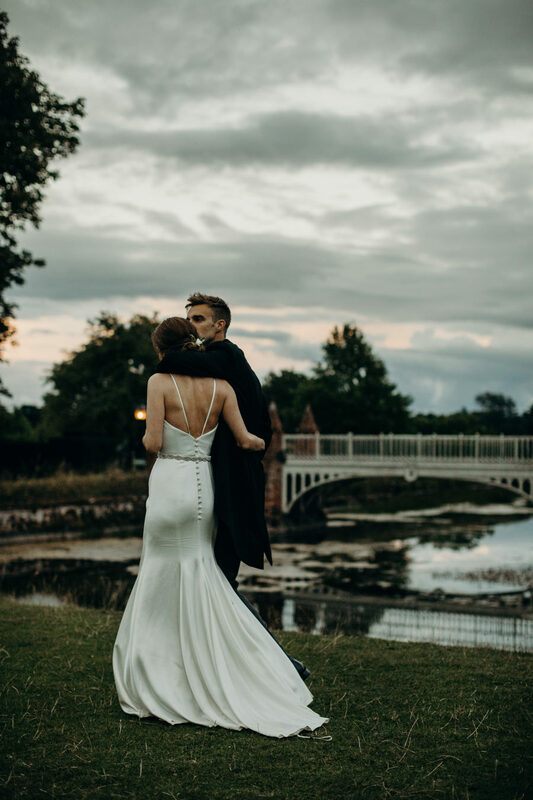 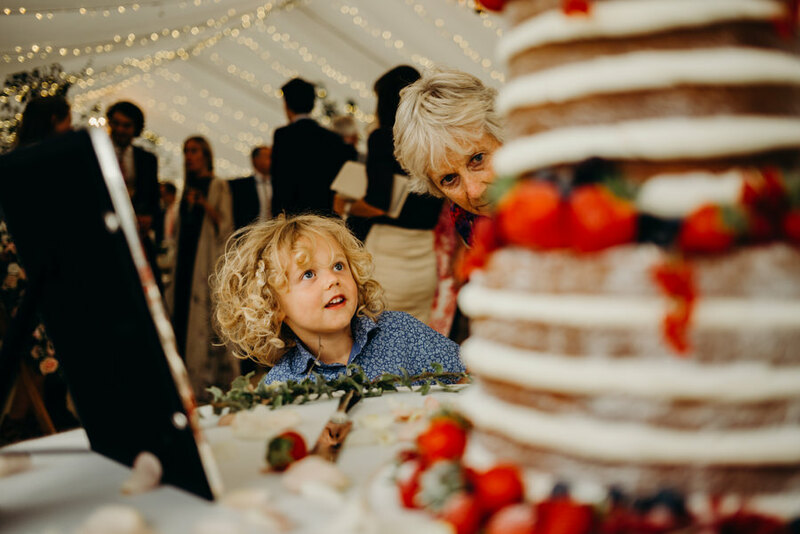 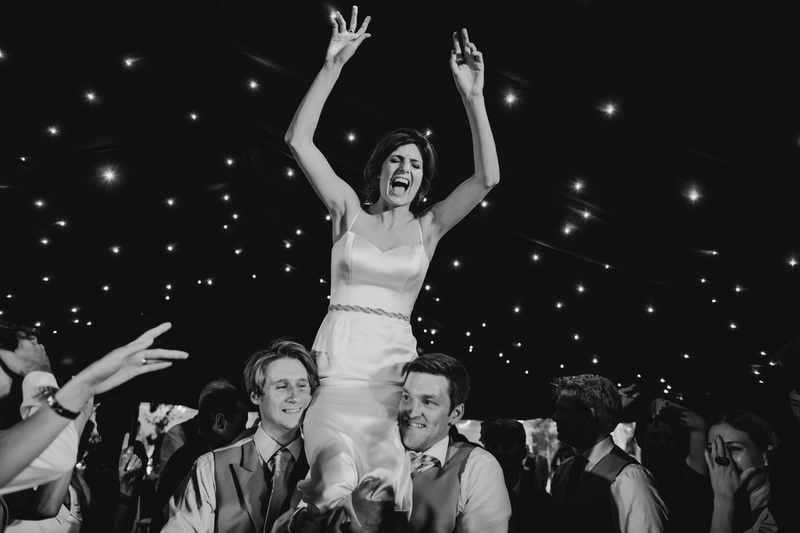 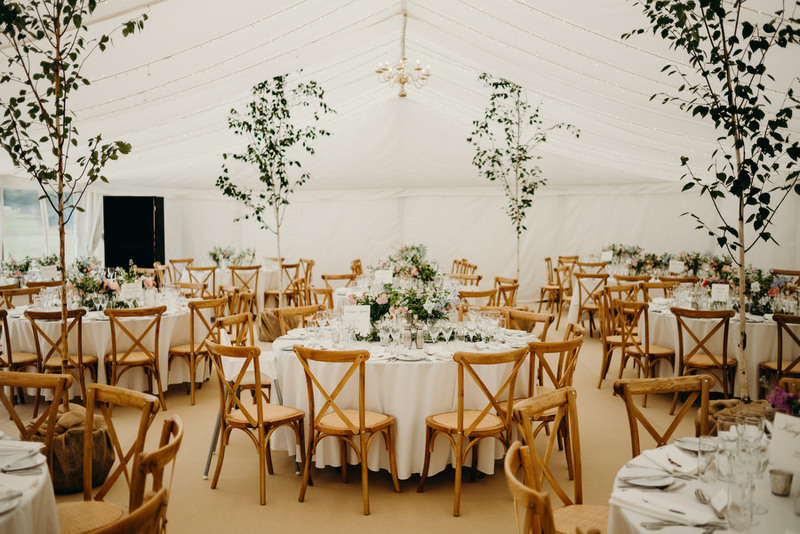 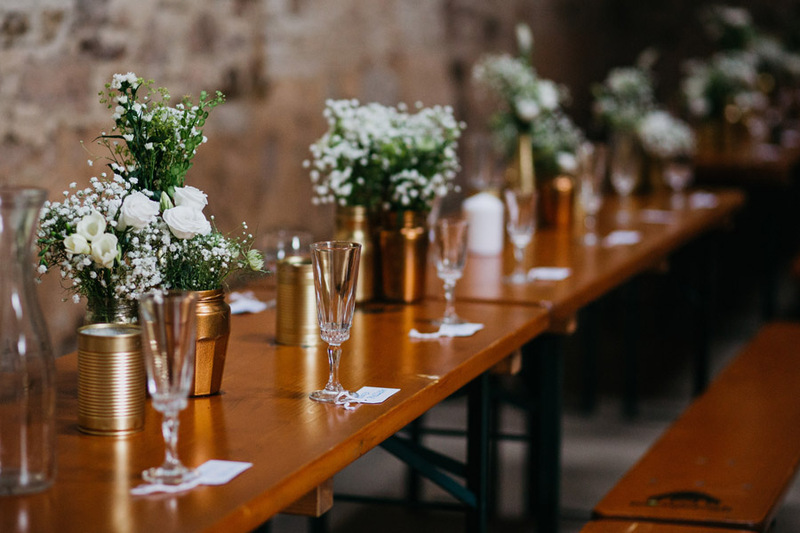 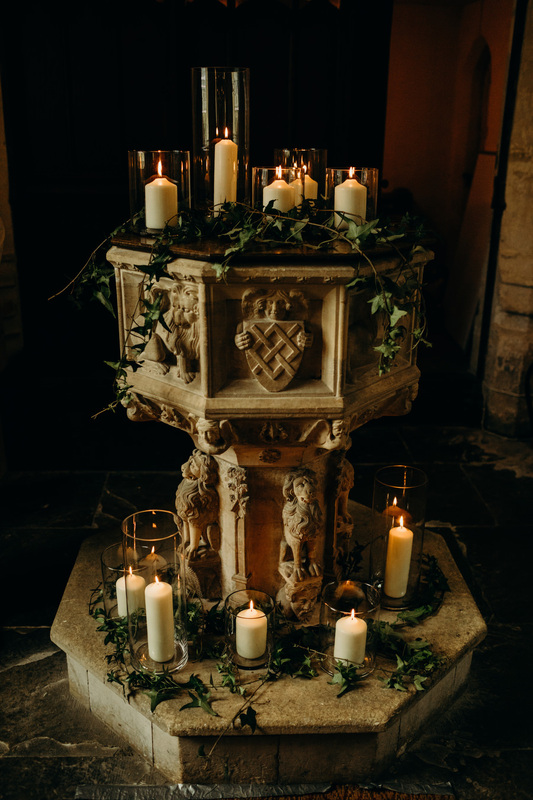 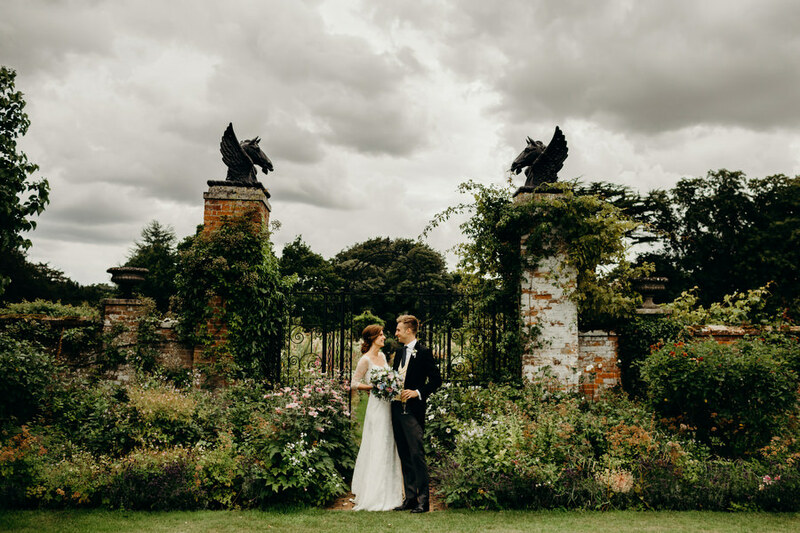 Helmingham itself is a breathtaking venue – and one we’ve never featured on the blog before today! 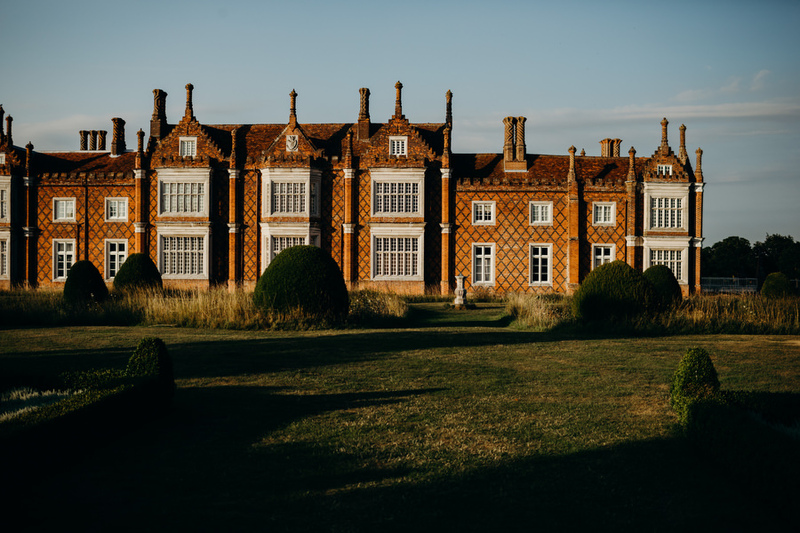 It’s a magnificent Tudor hall with an actual moat, in the grounds of a 400 acre deer park – what more could you possibly want? 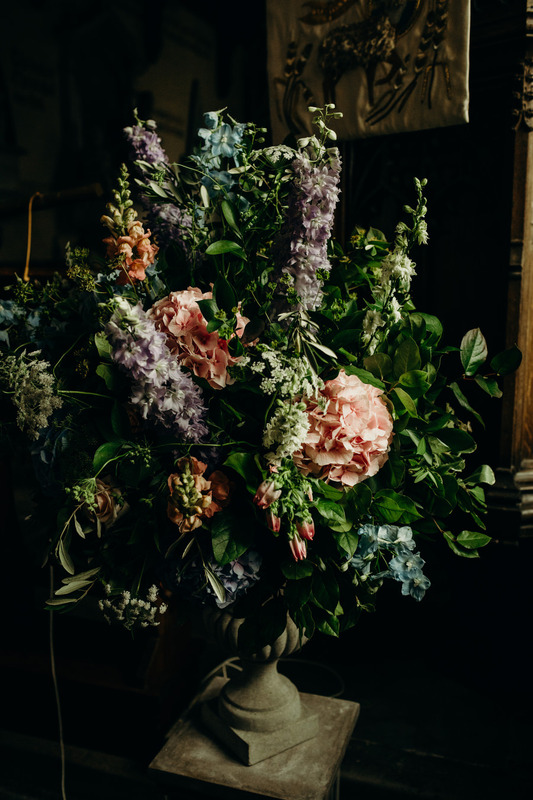 Hattie’s flowers take my breath away. 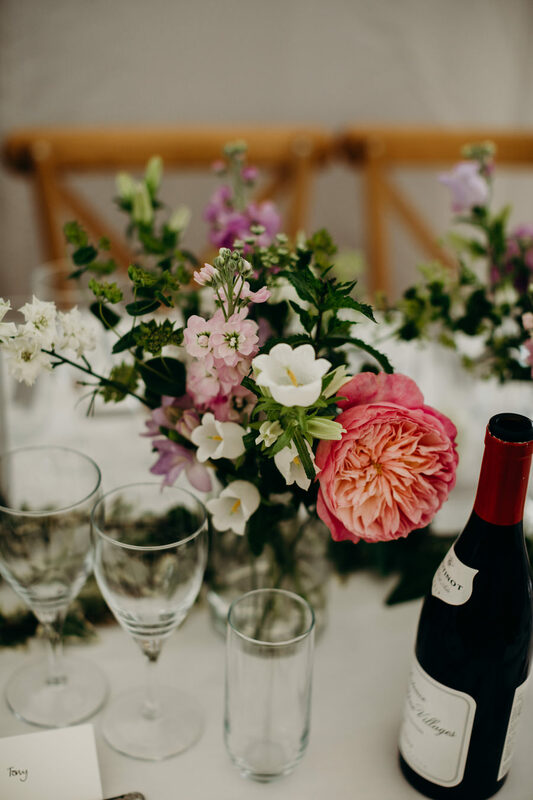 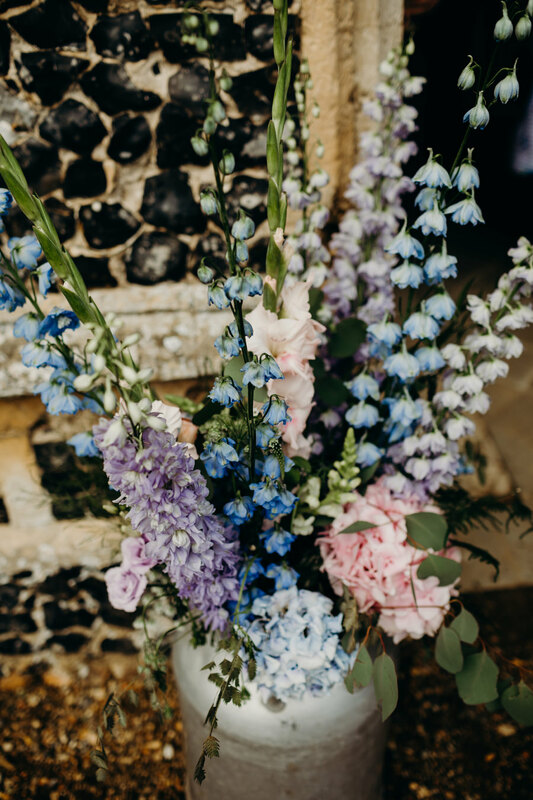 This is country garden style at its best: laid back and beautiful combinations of hydrangeas and delphiniums, peonies and roses with natural foliage, and the prettiest, most delicate bouquet in such pale colours. 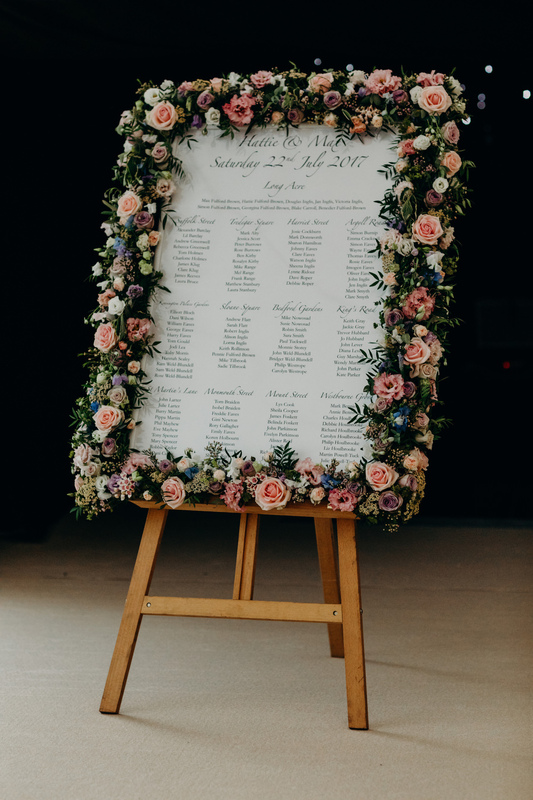 The floral surround for their table plan is just fabulous! 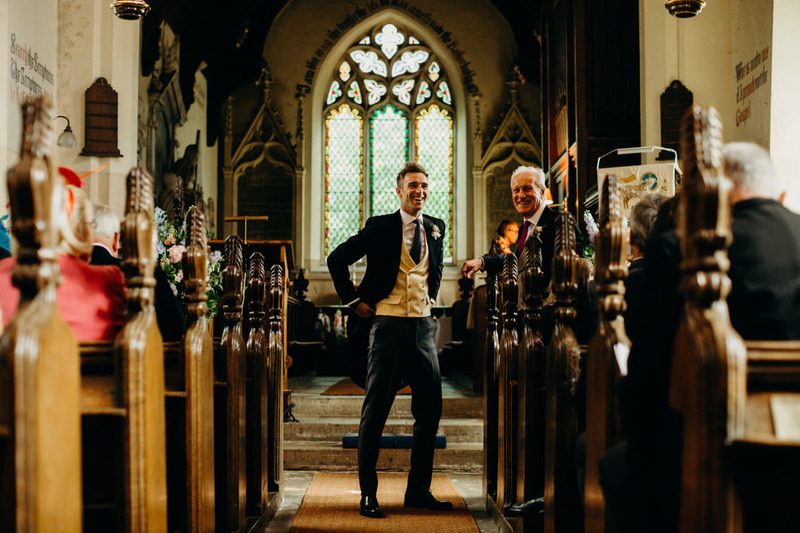 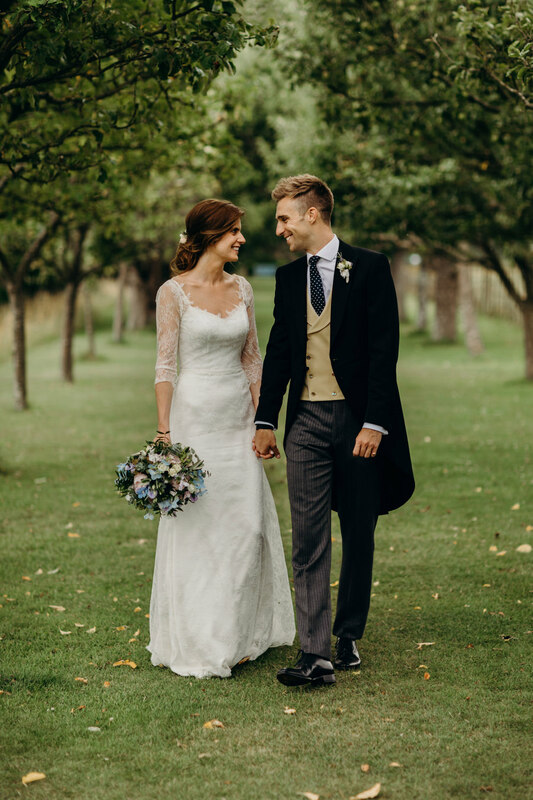 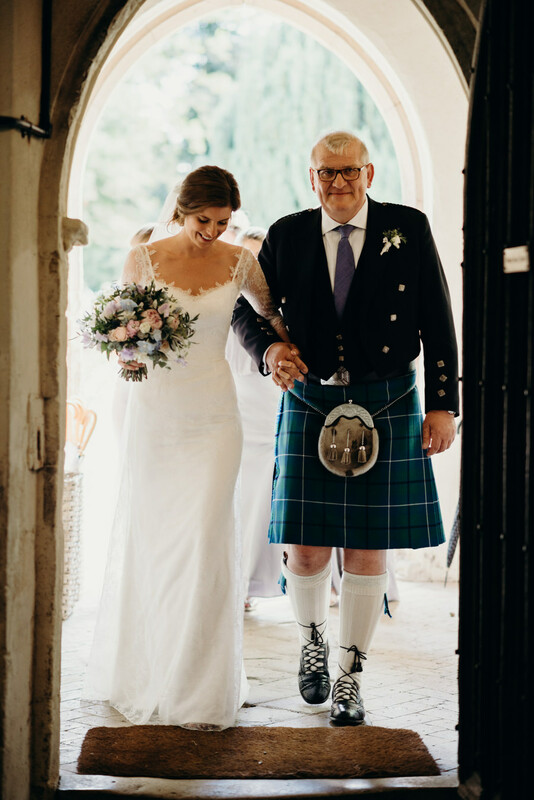 The happy couple look gorgeous with Max in tails, striped trousers and a tailored waistcoat. 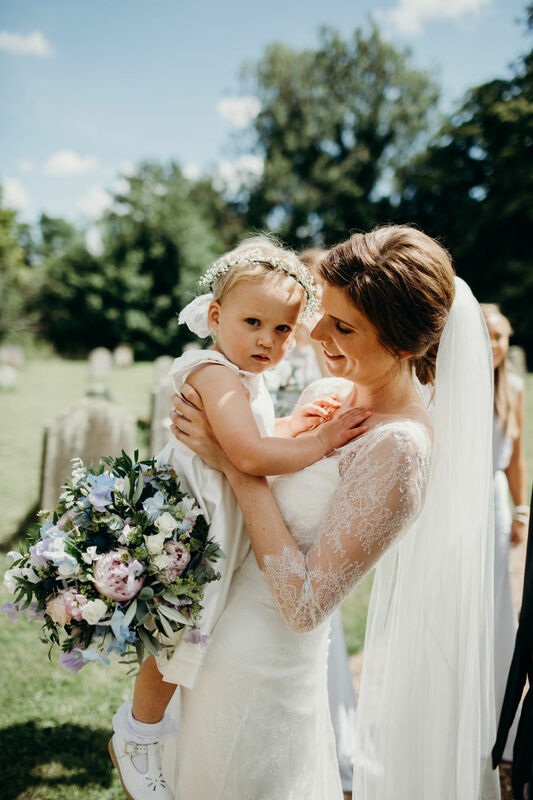 Hattie’s gown is delicately pretty with wonderfully intricate and sheer lace sleeves and overlay, and the most beautiful neckline. 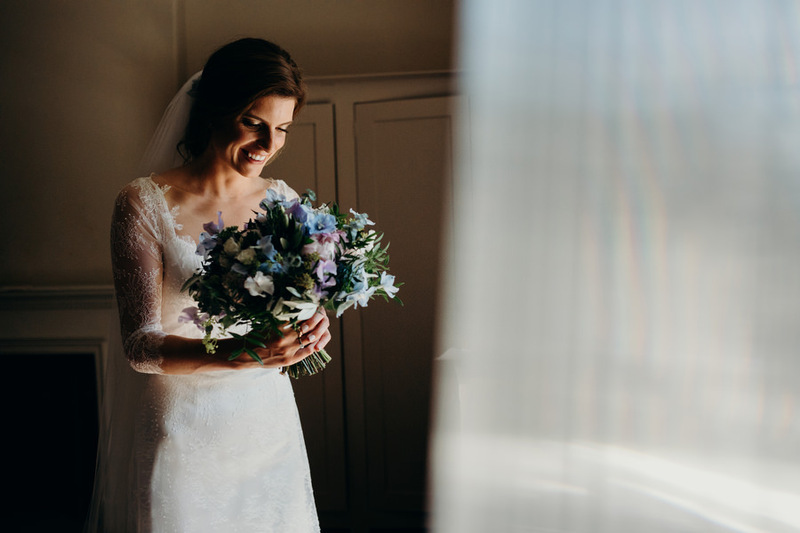 And then with a little transformation she becomes the belle of the ball with a stunning look for evening – and more wow factor than you can imagine!